Owing to our affluent industrial experience, we are manufacturing and supplying high quality Chamber Covers in India. The material used in manufacturing of the covers is sourced from the leading vendors of the market and thus is of best quality. We hold expertise in providing a qualitative assortment of Chamber Cover. By using excellent quality materials and superior techniques, the provided chamber cover is developed in observance with predefined industrial policies and standards. All these products are widely used in various water treatment plants, agricultural sectors, power plants and households’ applications for fitting pipe extensions. In accumulation to this product, we offer these covers in various sizes and shapes to meet diverse requirements of consumers. 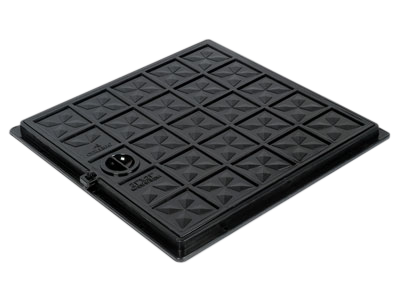 This Chamber Cover is built with precision and faultlessly designed to withstand the most adverse conditions. This chamber covers are properly manufactured by using the qualitative materials and it is also featured as quick fixing, precisely processed, rust resistant, tough construction and accurate in composition etc.